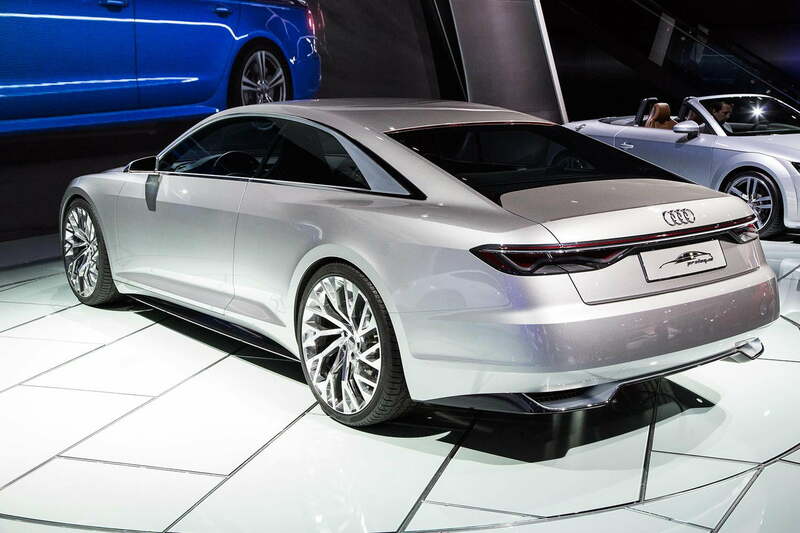 Audi is no stranger to innovation, especially when it comes to the CES electronics show in Las Vegas. The German automaker usually brings a few cars to showcase the latest advances in technology, but today, the car brought itself utilizing Audi’s new piloted driving system, showcased in the Audi prologue piloted driving showcar. The Concept vehicle, summoned by an LG smartwatch, is a glimpse into how Audi views the future of the luxury car segment: sportiness and efficiency above all. Powered by a 4-liter TFSI engine, merged with an electric motor, the hybrid system produces a stunning total output of 690 hp. Piloted driving is what Audi brings to the table of autonomous vehicles, and it’s determined to put the system in vehicles like the Q7 as early as the end of this year. The system will be available to take over for drivers in an auto-pilot like mode, allowing the driver to redirect their attention. If you think this system will only be useful for dull puttering in the right lane, keep in mind an RS 7 with the piloted driving system installed lapped the Hockenheim Gran Prix circuit on its own, reaching speeds upwards of 140 mph. Doing the computing is the central driver assistance controller ( or zFAS), that gathers the information from the sensors and maps out the surroundings of the car. It then connects with a could-based system to calculate algorithms to improve as it drives. 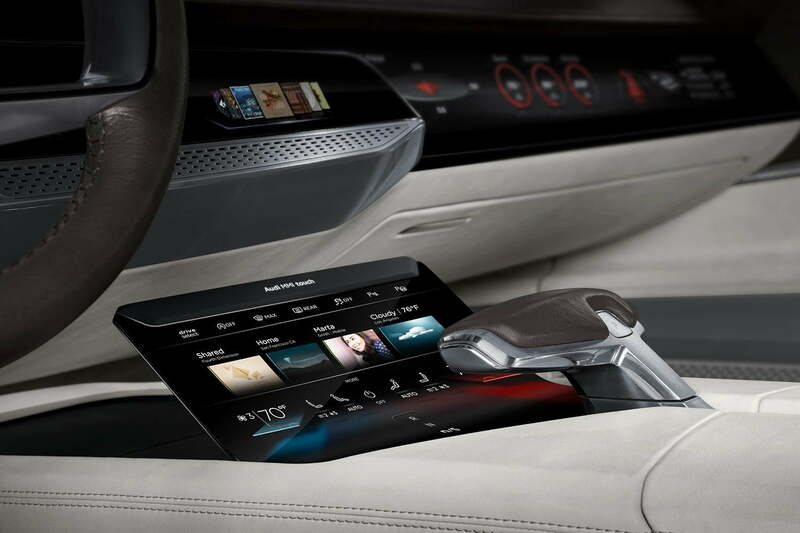 Given how the car is becoming a mobile office, that freedom to relinquish some of the driving responsibility can allow drivers to utilize Audi Connect, the automaker’s mobile connectivity system. Utilizing an LTE connection, the cars passengers can access the internet via the wifi hotspot the vehicle broadcasts. first for Audi is the Prologue’s switch-free cockpit, giving the passenger a wide screen interface while the driver receives a flexible OLED touch display on the car’s center console. Audi’s fully-digital “virtual cockpit” instrument cluster remains the focal point for the driver. The showcar also features the next generation in Audi’s laser light technology. This, combined with 3-D glass, can create unique effects, from narrowing the beam to finely illuminate the path ahead, to projecting bright light strips on the road to indicate the car’s width during situations where it might need to squeeze through barriers. Given the many innovations Audi has culminated into this single vehicle, we can’t wait to see what they bring to CES next year.